Fast Shipping! Place your driving suit order online and we will ship your suit out fast! In stock driving suits ordered business days by noon PST will ship same day-2 business days. 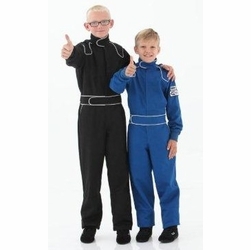 To our race car driving friends, we strongly recommend that you place your racing suit orders early, before the start of the auto racing season rush, to avoid delays of delivery of your race suit. 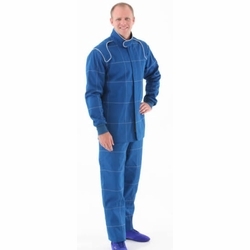 Make sure you have your racing suits in time for the racing season! Choose Your Fire Suit Below! Crow driving suits are fire resistant, constructed with all fire retardant materials and are SFI-1 and SFI-5 rated. 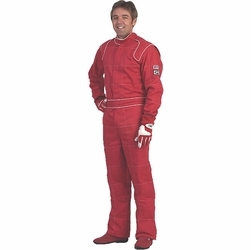 Each driving suit is constructed with Nomex ® zippers and they are sewn with either Nomex or Kevlar thread. 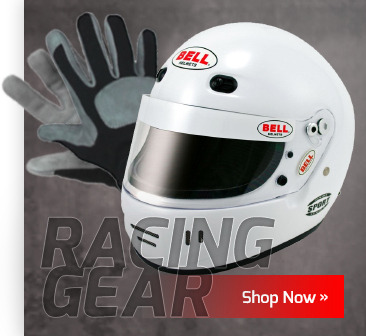 Choose from 1 or 2 layer Proban and multi-layer Nomex suits. Don't miss our Junior/Youth firesuits as well. SFI-5 Crow race suits are constructed with shoulder gussets and waist gussets for better auto racing comfort, creating one of the finest fire resistant race suits available for an unbelievable low price. You will love these Crow fire suits!